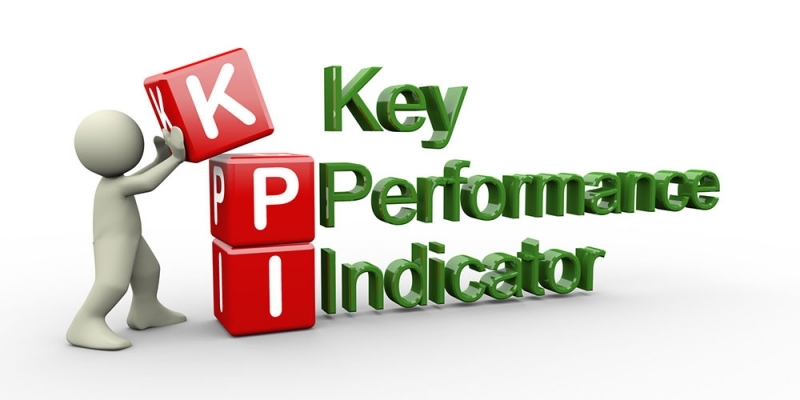 Key Performance Indicators, also known as KPI’s, are widely used in business to measure how effectively a company is achieving its key business objectives. If used properly, KPI’s can have a great impact on the success of a business. The key is to develop the right KPI’s for your business and its strategic goals and objectives. Once the company KPI’s have been established, other managers and department heads, along with upper management, should be involved in determining KPI’s for departments within the company that support the high-level KPI’s. Collaboration with key individuals in the early stages of KPI development fosters ownership and buy-in from the entire company. Company KPI’s must be clearly communicated to all the people in the company, and then the departmental KPI’s must be clearly communicated to all people in that department. The departmental KPI’s should support the organizational objectives, provide measure of how to achieve them, and be assigned to those departments that are able to achieve them. There should be a balance of leading and lagging performance indicators. Leading indicators provide guidance on how to achieve future results. You want to be sure you are tracking the correct things that will lead you to achieving the main company objectives. Lagging indicators tell you how you’ve performed in the past, and do not predict the future. For example, in manufacturing, the leading KPI of Percentage of Defects correlates to the lagging KPI of Cost of Goods Sold. Most KPI’s fall into one of these categories: revenue improvement, cost reduction, process time improvement and increased customer satisfaction. When selecting KPI’s, you can look at past successes and ask “Why did we have success?” What were the drivers of that success? You can also look at past mistakes and ask “Why did we make these mistakes?” This can also point you to selecting the best KPI’s for your business. Once KPI’s have been assigned and communicated, all employees in the organization will know what goals they are to achieve and how these tie into the business objectives of the company. From there, strategies can be developed to achieve these goals. Dashboards and performance scorecards can be developed to track these KPI’s using data analytics. This data can provide insights into what is working and what is not working. The key in selecting KPI’s is to remember what is truly important to achieving your company objectives. You don’t want to have so many KPI’s that they become overwhelming and people don’t pay attention to them. KPI’s must be continually monitored and reevaluated to ensure they are still relevant to achieving your strategic goals. Having clearly defined and communicated KPI’s ensures the entire company is a united team working towards achieving the most important company objectives.